There are some fantastic photobook collections the world over – collections that focus on indie or handmade books, collections that are driven by rarity and monetary value, collections based on location and many based on specific events or happenings. The Photobook Club has never been and never had a collection, occasionally kind folks have sent books through to me and I have sought wherever possible to take them with me to Photobook Club events and talks but no more. Now, I find more and more I have been asked to bring collections of books to events, Universities and so on – I respond by bringing my own collection but it is a young and sparse collection lacking curation and coherence. At the same time I have been thinking a great deal recently about a thematic collection, a collection that, while not seeking to be exhaustive, does seek to provide both broad and deep reading. A collection that can be visited in my home, a collection that will be viewable online and a collection that can travel in whole, or in parts, to different locations. I figured such a theme would need to be narrow enough that it could near a completion of sorts but in reality this will never happen. I have chosen instead to openly begin a collection with a broad headline, which can then be shaped both by works submitted and interest in it’s contents. The theme chosen I believe speaks not only about photography and it’s history but also relates to the indie photobook movement, the interest in the generative artefact and a quest for a less hectic way of life. 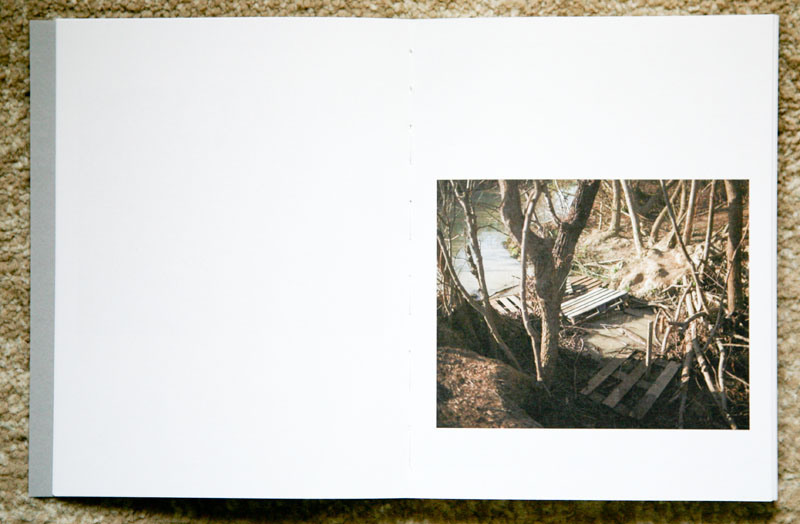 – Photobooks, zines and papers that explore our relationship with nature and the natural landscape. As mentioned above, this is broad, but will be shaped in time. As a set of books to offer a well known guide, I would consider the likes of John Gossage’s ‘The Pond‘, Lucas Foglia’s ‘A Natural Order‘, Ricardo Cases ‘Palomo al Aire‘, Ron Jude’s ‘Lick Creek line‘ and Oscar Tuazon’s ‘Leave me be‘.